The Museum becomes the set for a new documentary, "The Rise of the Modern PR profession" debuting in Korea this summer. Producer goes through images for inclusion in film. Crew discusses sound and lighting requirements. 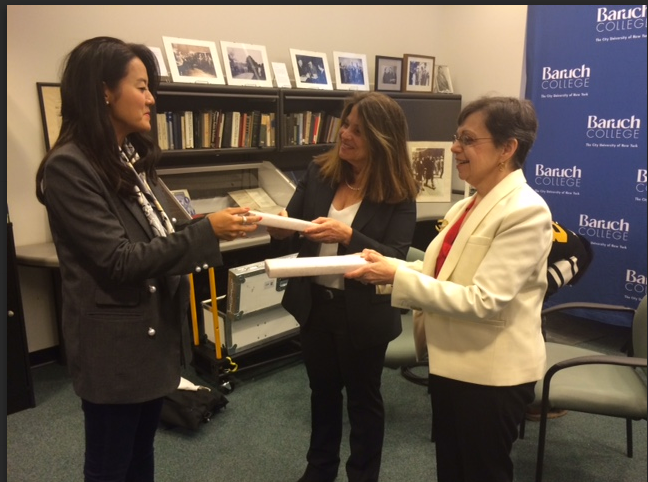 Professors Sandra Roff and Shelley Spector are presented with gifts of handmade ebony couple-ring chopsticks. The interviewer asks about the influence of Freud on the PR field.